detection of a mains failure, and will control the switchover from and back to the mains (utility) supply,offering an uninterrupted return. 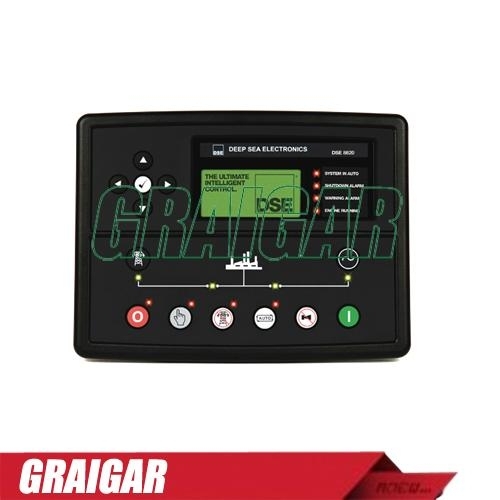 The modules synchronising functions include automatic synchronising with built-in synchroscope and closing onto dead bus. Direct and flexible outputs from the module are provided to allow connection to the most commonly used speed governors and automatic voltage regulators (AVRs). LED, remote PC, audible alarm and via SMS text alerts. The module includes RS232 and RS485 ports as well as dedicated terminals for system expansion.